What are the specifications of ASTM A182 F5 Olets? ASTM A182 F5 Olets is mainly used in the metal industry, automobile industry, and many more industries. They are many industries that are offering people with a wide collection of outlets that help you in the pipe fittings. These olets are available to its customer at highly competitive prices at very less span of time. They are being demanded in various industrial applications. These ASTM A182 F5 Olets offer its customers with great features such as high strength, flawless finish and they also have accurate construction, they have widely appreciated in the market, they have high strength and have great design. They are made from the best quality raw material and are made from leading technique that is usually under the guidance of the professionals and experienced. The expansion gap and internal crevices left helps you in promoting corrosion that is very suitable for corrosive and radioactive applications. Not only this one can easily get customize olets as well at the wide range. Specifications are ASTM A182 and ASME SA182; there are great standards available that is ASME 16.11, MSS SP-79, 83, 95, 97 and many more. The size of the olets may differ and they are also available in various sizes that are ½ NB TO 48 NB. They are the best and they provide you with the best services they are mainly used in the industries such as gas, water, and oil. They are made of the best material and are said to be available in various shapes and size. 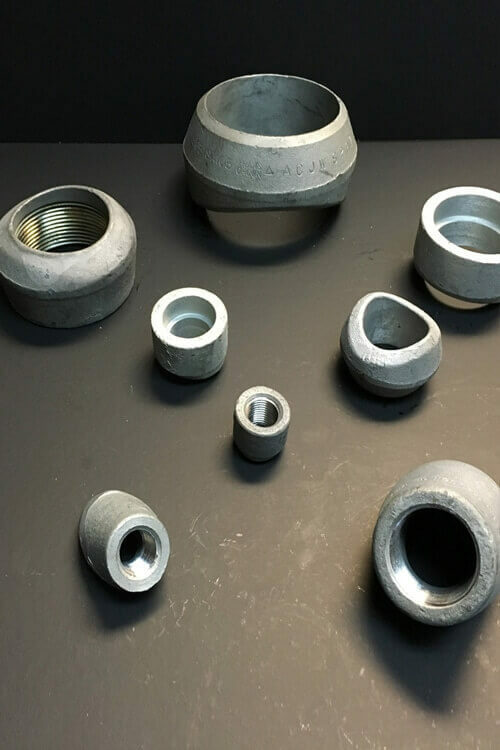 Alloy Steel A182 F5 Latrolet, ASTM A182 F5 AS Welding Outlets, Standard Size ASTM A182 F5 Olets Fittings Supplier, ASTM A182 Grade F5 Alloy Steel Threaded Outlet Fitting, ASME SA182 F5 Flexolet Manufactures in Mumbai India, ANSI B16.11 Alloy Steel ASTM A182 F5 Sockolet, ASTM A182 F5 Alloy Steel Sweepolet Exporter, SA182 Chrome Moly Alloy Steel F5 Elbow Outlet.